Many of us enjoy going out to a nice Indian restaurant, and even indulging in a little smoke on a water pipe, commonly known as a hookah or shisha. With the recent surge in shisha lounges and the ever long popularity of Indian restaurants as a great venue for a weekend night out, the question arises: When did this all come to the UK? Is it a recent phenomenon? Most of us would assume that these exotic luxuries were bought to the UK with the first and second wave of immigrations from South Asia during the later decades of the twentieth century. While it may be true that Indian restaurants have become more popular due to this event and shisha lounges are a more recent phenomenon due to Britain’s ever increasing multiculturalism, these two cultural products were introduced in Britain long before the immigration of many South Asians. 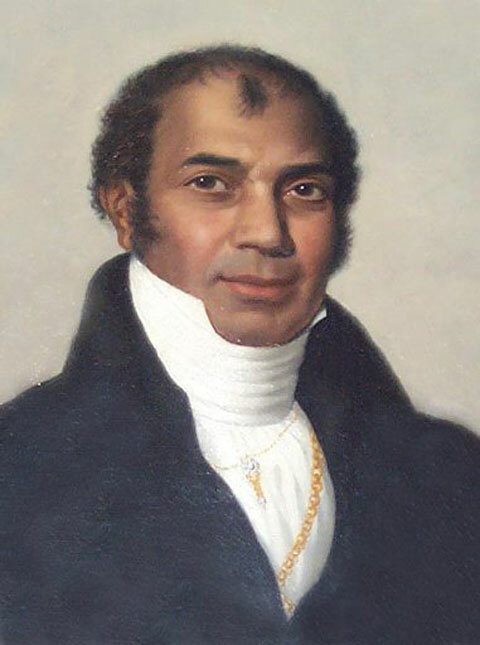 Sake Dean Mahomed (otherwise known as Sheikh Deen Muhammad) was an early Bengali immigrant from India to England. Born in 1789, he is accredited with the transmission of some elements of Indian culture into the Western World. He was also one of the earliest Indians to write and publish in English. As the son of an East India Company employee and later on an employee himself, he had the advantage of interacting with Europeans and in turn learning English. In his initial travels to Britain, he published a travel book, and later whilst living there published further works. After his move to Britain in 1810, Dean Mahomed opened the first Indian restaurant in London, called the Hindoostanee Coffee House. Here Brits were able to sample Indian cuisine and smoke a shisha. However, he was forced to close down due to financial difficulties. He is also accredited with bringing therapeutic head massage, or shampooing, to Britain. This Indian head massage, he claimed, would cure many ailments. This was a rather successful venture for Dean Mahomed, as hospitals referred patients to him, and he was even appointed as shampooing surgeon to King Georges IV. Although the trend in Indian restaurants and hookahs cannot solely be attributed to Sake Dean Mahomed, his name is worth the recognition as an early participant in cultural transference. We partake in these social activities as an enjoyment, but it is always a positive thing to think back to when these items were first bought here and how they were received. Living in a highly multicultural society, which is ever growing in diversity due to global integration and connections, we can appreciate many elements of world cultures without ever leaving the country. We are able to sample many dishes from around the world and even partake in cultural activities, previously unknown to us. Diversity makes the world a more interesting place and one culture can benefit from another through interaction and positive influence. ← Indian Women’s Social Reform: Why Child Marriage, and Why Not Purdah?